The gold-medal pairs figure-skating winners from the Salt Lake City Olympics will square off Saturday night when CBS presents the 10th annual Olay Presents Ice Wars: North America vs. The World at 9 p.m. ET/PT. Friday morning, at Wollman Rink in New York City's Central Park, Olympic gold medalist Brian Boitano tells The Early Show co-anchor Hannah Storm the competition gets pretty fierce. "We take it very seriously," he says. It's a reprise of the big figure skating competition at the Salt Lake Olympics where two gold medals were awarded in Pairs because of a judging scandal. Boitano says, "In fact, one of the pairs is on my team, Jamie Sale and David Pelletier." Boitano notes the Canadian team is competing against Elena Berezhnaya and Anton Sikharulidze who won the other gold medal in the Olympics, the first time two medals were awarded in the same event. "They're representing the other team, Boitano says. "It's the first time they'll meet up since the Olympics." 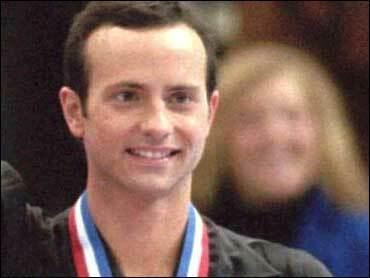 Boitano, who just turned 40 and says he is feeling greaT, adds, "I can't believe it. I'm like, 'wasn't I just 24?' But I feel better than I have in years, so it's been good." He performs for The Early Show, "The Summer Wind," by Michael Buble. Don't miss his performance Saturday night at the Ice Wars: North America vs. The World.